How do you think about risk? How do you prepare? How do you decide which risks to take and which to avoid? And when you take a risk, how do you manage it? How is paddling out at Maliko Gulch at the edge of your comfort zone on a big, windy day different from changing jobs, driving too fast in the rain or going on a blind date? So much of my life has been about the risks I have taken, the risks I’ve shied away from and thinking about the next risky thing I want to do. 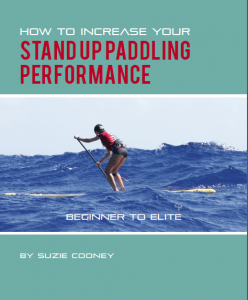 When I first started thinking about paddling SUP downwind, before I ever dreamed of paddling Maliko, I approached downwind paddling like the other physically dangerous things I’ve done in my life: jumping out of airplanes, being a Navy officer on a destroyer in the Gulf of Tonkin, skiing really steep stuff, whitewater kayaking, scuba diving, ocean sailing, surfing and paddling outrigger and surfski in the ocean. Most of the physical risks I’ve taken, except skydiving, have had to do with water, sometimes salty, sometimes fresh, and sometimes frozen. In each of these domains I looked up the best people I could find (and afford) to help me learn how to perform, how to get the right gear, how to evaluate the water and how to be safe, that is, how to manage risk. Only recently though, have I been effectively coached to think differently about myself in relation to risk. And now, I’m over 60 and I’m doing a better job than I ever have of evaluating risk. I’m thinking more clearly. I have my own Ocean Rules based on many years of sailing and paddling experience and my time in the Navy. Rule Number One: The ocean will kill you. It’s not personal. It can happen even when you pay attention and is much more likely to happen when you don’t. Rule Number Two: Be present and don’t assume the best will always happen. Rule Number Three: Be ready… Stuff happens and you must be prepared to rescue yourself. Rule Number Four: The Ocean rewards risk-taking with transcendent experiences, rapturously beautiful images and insights into our deepest heart. The trick is to survive to tell about it. The biggest thing on the surface of the Earth makes Her own rules. We co-exist with Her only so long as we honor Her power and engage our body, mind and spirit in understanding Her. The decision to get on the shuttle at Kanaha is the result of all the calculations each paddler has made that day about the nature of risk. All the questions may have been – should have been – asked. What will the wind and tide and swell be today? Will we go to Kanaha or the Harbor? How far outside the reef will we be today? Who am I paddling with? Do I have my leash? What about a PFD? Will I take my phone? Who did I tell I’m going out and do they know what to do if I’m not back on time? Do I have water with me and nutrition? Have there been reports of any wildlife in the water? Do I feel strong today? Maliko veterans have likely thought through every step and made every choice often enough to understand the trade-offs between safety and comfort, risk and reward. And yet, what if it’s blowing over 30mph and your leash breaks? What if you lose your paddle? What is Plan B? Though I’m new to Maliko, I’ve been paddling for nearly twenty years. I’ve had little drama, no close calls, just fun. Then, about two years ago on Tomales Bay, 20 miles northwest of the Golden Gate, I learned about Plan B the hard way. I was on a 14’ downwind board. It was blowing 30 mph, numbing 58 degree water, less than an hour to sunset, only four of us, less than 1 ½ miles from the take-out, and I was last by a ways. Got a good glide, tried to extend, pearled and fell hard on the board. Dumb mistake, and I split my left tricep tendon. I was in fair amount of pain, but the tear was such that I was able to get back on the board and slowly and awkwardly gimp-paddle to the take-out. But – and here come my favorite risk-reward words – “What if?” What if I’d broken my arm and couldn’t get back on the board? I had a wetsuit and inflatable PFD, but I’d have never been able to put on the PFD with a broken arm. Tomales Bay is not very wide and perhaps I could have swum for shore, but what if…? I had mostly paid attention to my Ocean Rules and was able to rescue myself. Things worked out, but what if they hadn’t? Now I wear a Vaikobi PFD when I paddle downwind and even when I paddle alone in San Francisco Bay. Maybe it’s not the coolest, most casual look, but I’ve made my choice about the nature of the risks I’m willing to take. The first time I paddled out at Maliko Gulch presented all the elements of “What if?” The wind was 25 to 30 mph with a 7 foot ENE swell. I’d been out in that much wind before on San Francisco Bay but not with a 7 foot swell beneath the wind waves. For a moment I thought, “What if this is too much for me? What is Plan B?” I remembered I’d trained for this and set my mind right. Then Suzie and I talked about whether to cross the reef at Kanaha or go to the harbor to avoid the big waves breaking on the reef. We chose the harbor, especially for me, a first-timer. No one else was going out. We were on our own and going through the self-rescue checklist. We had cell phones, life jackets, water and even a locator beacon for the worst case. We were following my Ocean Rules. I spent hours on the beach extrapolating the trajectories and likely behaviors of six children ranging in age from 2 to 13 years old. Is Brad too close to the water? Where’s Bart? I saw Kim in the water a minute ago. Where is she? It was exhausting and necessary. My mother couldn’t do it alone. Now, most of the time, I only have to imagine my own trajectory, but the oldest child in me is also always thinking about the folks with whom I’m on the water, just in case. I love the Ocean with all my heart and soul. I have seen Her kill people and I know Her power. I have never seen anything so consistently beautiful and terrifying. I am my best self when I am on the water – in the moment, living the now, realizing the dream of freedom and speed. I want that joy to endure and I want it for those I love and care about and for all who share with me that salty dream of freedom. I can hear my mother’s voice even now. So, I worry about you. Be careful. Stay safe. Tom Sher is a frequent visitor to Maui and has a lifetime experience of paddling in many bodies of water. He currently lives in the Bay Area and is seen most windy days, downwinding near Alcatraz and other amazing spots in the bay with his local crew. Tom is a true gentleman of the ocean. Enjoyed the article! Met Tom downwinding on The Barbary Ghost. True gentleman and excellent waterman! Mahalo Clark for stopping by! Yes Tom is great. As a matter of fact we did an epic downwinder here on Maliko Yesterday! Aloha and hope you can make it to Maui one day. Excellent read! I’ve way too many people paddling in cold water this winter without proper gear and definitely no Plan B. While I applaud their enthusiasm, I fear their safety. While exceedingly beautiful, Mother Nature and Mother Ocean always hold the upper hand.